Reservations are not required, but recommended. The patio however, is first come first serve, and will not be available for call ahead seating. Enjoy a refreshing beverage to complement your meal, or to simply savor on its own. Every meal should end on a sweet note. Be sure to save room for one of our decadent desserts. 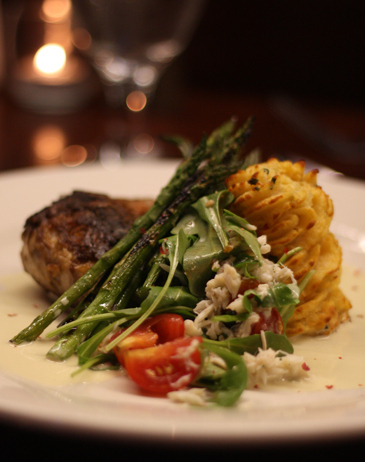 Awaken your taste buds with our exquisite entrees, featuring fresh, local ingredients. Created with passion and purpose, these dishes are sure to satisfy any palate. Check out our other restaurants A.P. Suggins and Nick Ryan's.